Insight Pest Solutions is a privately-owned company that offers customized services in a smarter and safer way. Our goal is to protect your home and family from unwanted pests. 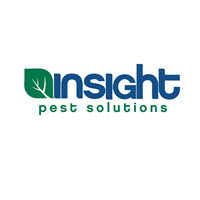 Insight offers general pest control, termite and wildlife services. Choose Insight and join our effort to protect home, health and environment. We have had Insight Pest Solutions since we moved to NC. Nearly two years ago. They have provided excellent service. We are especially happy with how they are able to keep the wasps away. So far it has limited some of the creatures that lurked around my house! It is 7:55 p.m. and a rep from your company just knocked on our door and woke up our baby. First, it is 2018, please find a better way of marketing than door to door. It is dangerous for your staff and dangerous for others. Second, having them approach a house anytime after 5:30 p.m. is absurd. I am now sitting here rocking a screaming baby that was sleeping soundly 20 minutes ago. Please find a courteous, safe, non-invasive way to market your business. We actually need a pest control company but your inconsiderate intrusive manner has informed us you are definitely not the choice. Yes, I am super happy with your service! We are free at last of wasps - used to be plagued with them both inside and outside our house from May to November every year! Your employees are very polite and do excellent work...thank you!